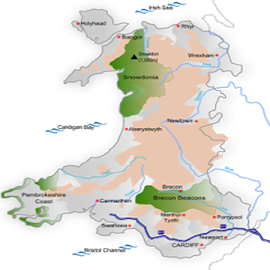 Home › Work Experience Wales › Cultural Activities available. Cultural activities are also available to support the classroom teaching. These are visits to local historical attractions accompanied by their teacher where tours are offered by a guide. e.g. The Gower, The Waterfront Museum, Big Pit, The National Roman Museum, St Fagens and Aberdulais Falls to name a few. Students are collected by minibus at the end of the lessons in the morning and spend the afternoon on a constructed tour of a local attraction. Here students can get an appreciation of Wales and it’s historical past. This proves valuable in conjunction with the placement as students receive an attendance certificate for their course or an internationally recognised qualification.